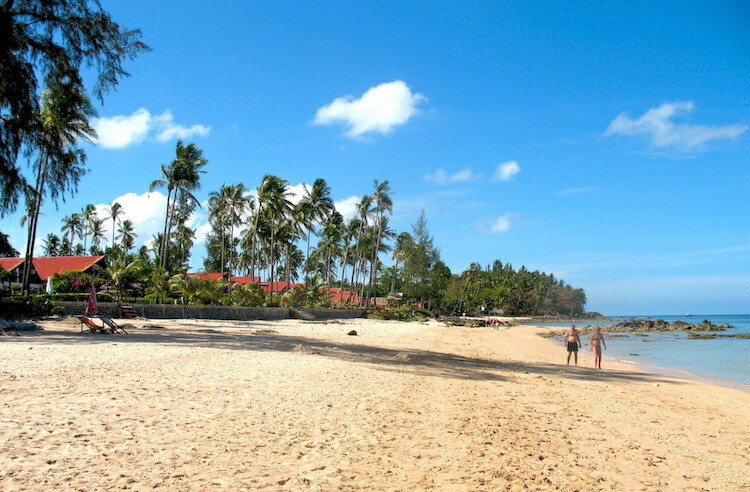 The entrance to Malee Beach area at the main road. 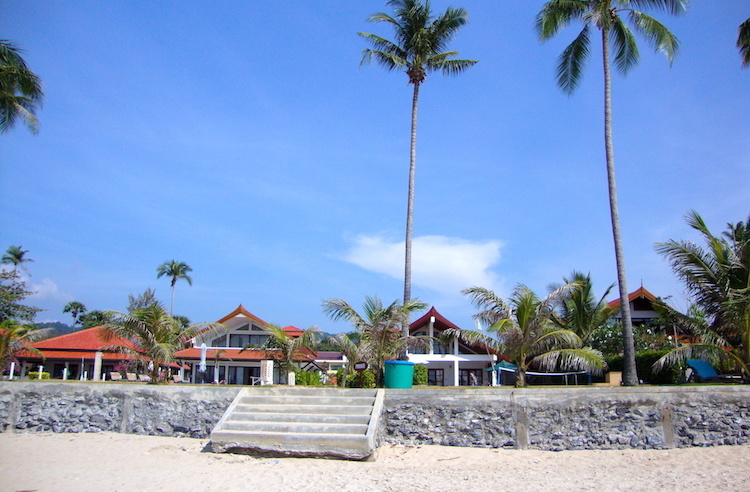 All the villas are close to the beach and it differs 0-150 meter depending on where you stay. Please use the walk ways and respect the privacy in front of the villas. The stairs from the villa area down to the beach. 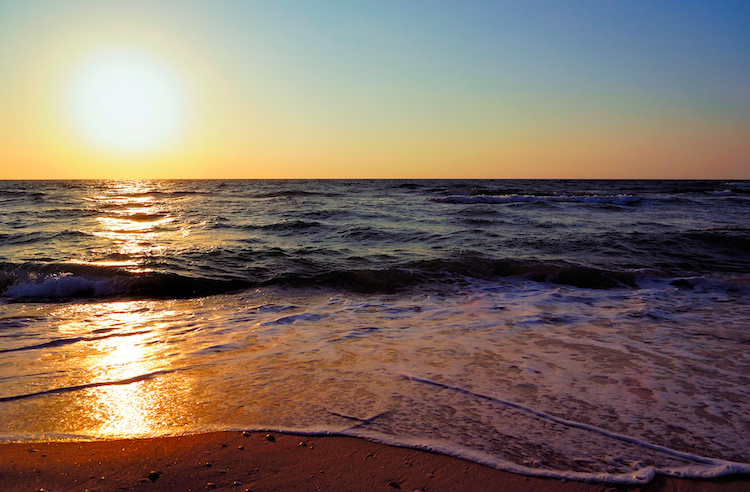 Right outside there are some rocks but just walk 50-75 meter to the right and you have the sandy beach. Long Beach is about 3 km long. 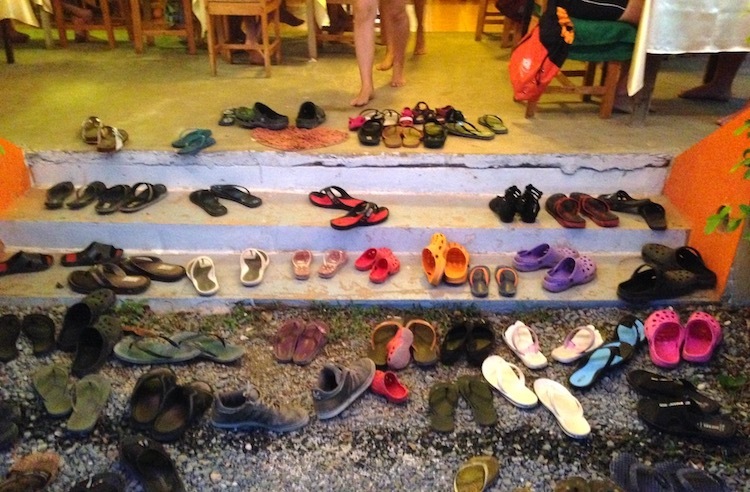 At some restaurants it is natural to take off your shoes. You get used to it! 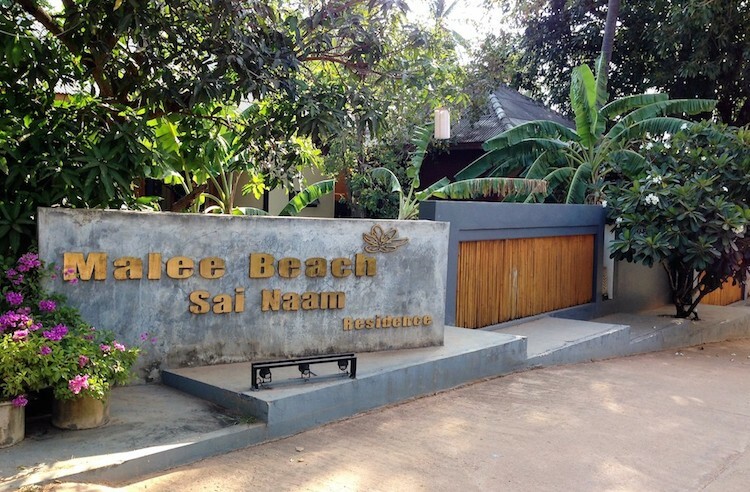 Malee Beach consists of a total of 45 privately owned pool villas. 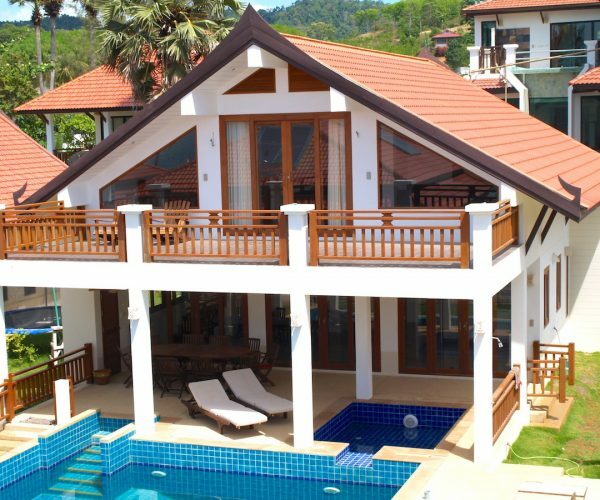 All villas are individually designed for a high comfort of living. Sai Naam Restaurant within the area serves Thai and Western food also popular for take away. 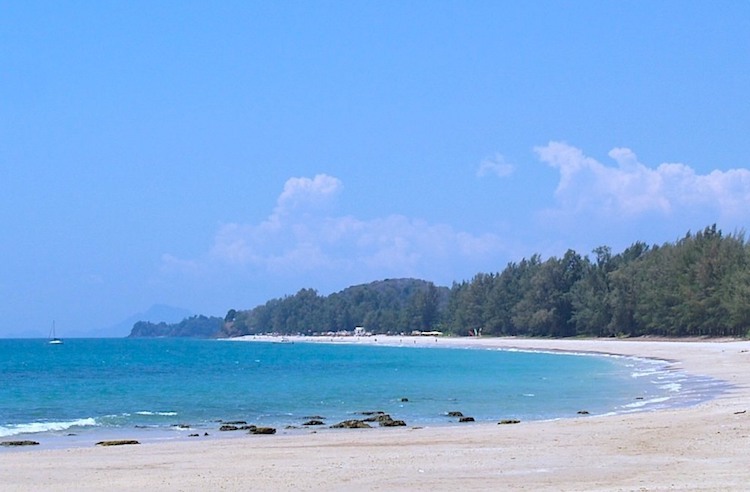 Long Beach is the second beach south of Klong Dao Beach and Saladan, ranging from simpler bungalows and hostels to five-star luxury resorts. 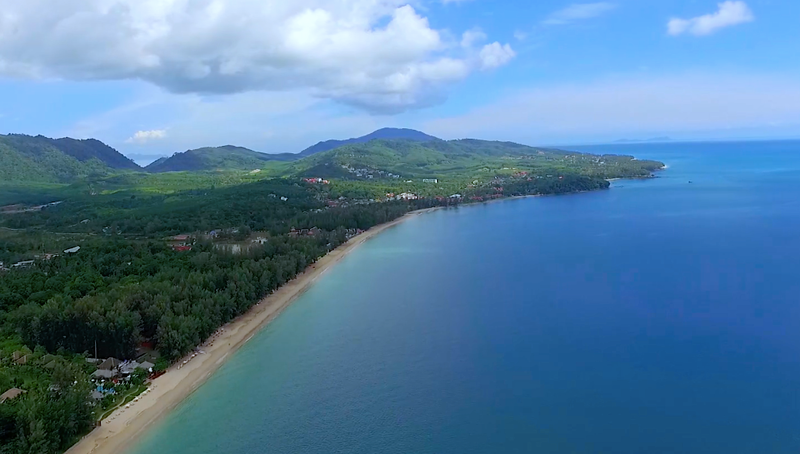 In addition, there is a wide variety of restaurants, cafes, bars and massages parlors both on the beach and along the main road. The small village along the main road offers several restaurants, cafés, pharmacies, doctor’s clinic, ATM’s, Seven Eleven, fruit stalls, bakeries, travel agencies, hairdressers, laundries etc. The distance to Saladan, which is the nearest town, is about 6 km – or about 15 minutes by tuk-tuk, taxi or motorbike. 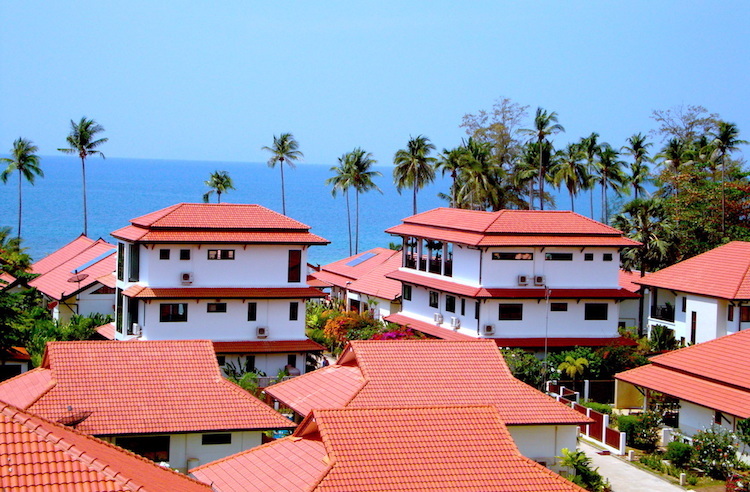 Down below you have an overview over the accommodations connected to the Malee Beach Area! 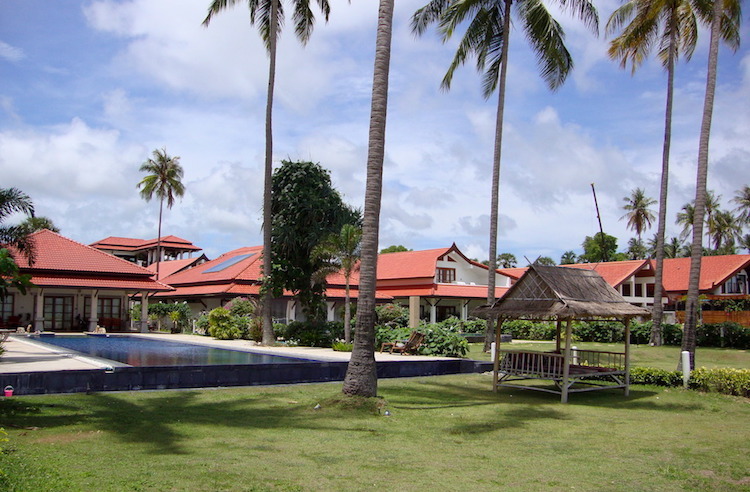 Four bedroom villa with prime location for eight persons. Home cinema, washing machine, dish washer, infinity pool. VIP check-in package included! 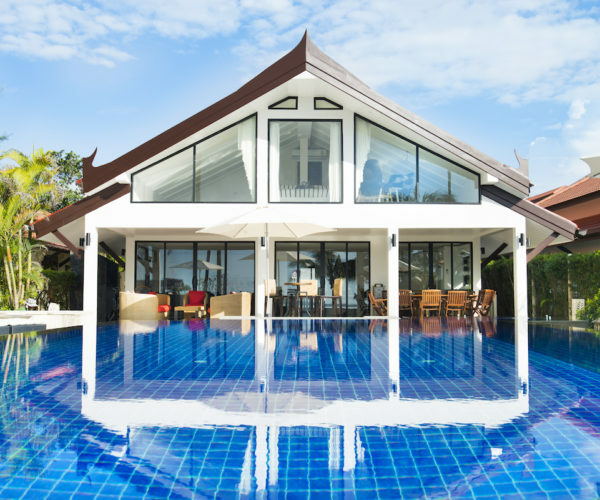 Exclusive beachfront villa for 12 persons with exquisite sea view of the Phi Phi islands! This villa had a total make over completed Nov 2017. VIP check-in package included! 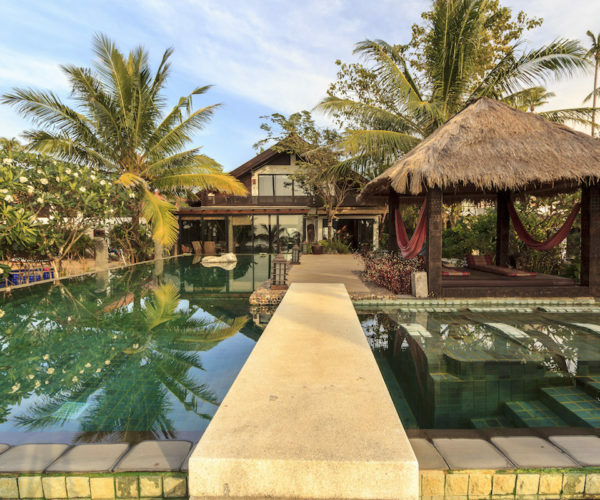 Beach Front Villa with 120 square meter infinity pool. VIP check-in package included! Two-story pool villa with "almost" beach front location. 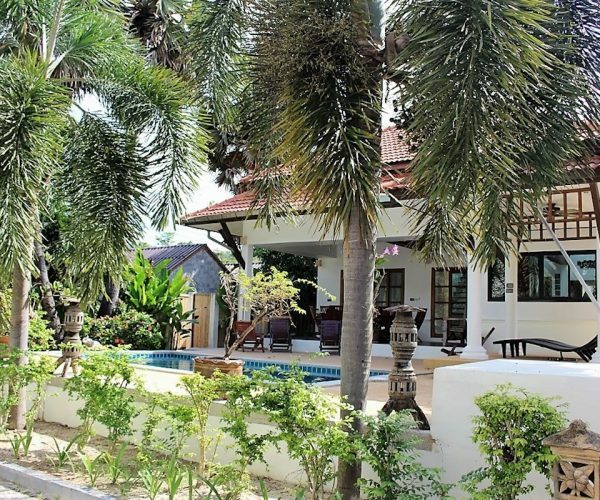 Two-story pool villa about 200 square meter plus a large terrace close to the beach. Pool with children's section. 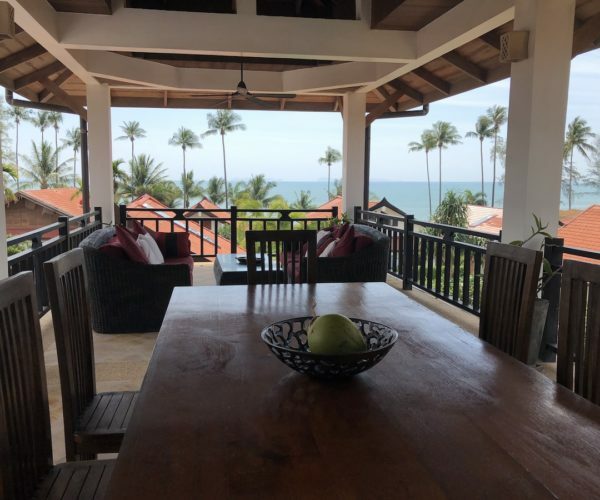 Three story building in the center of Malee area with a great ocean view towards the sunset from the top floor. 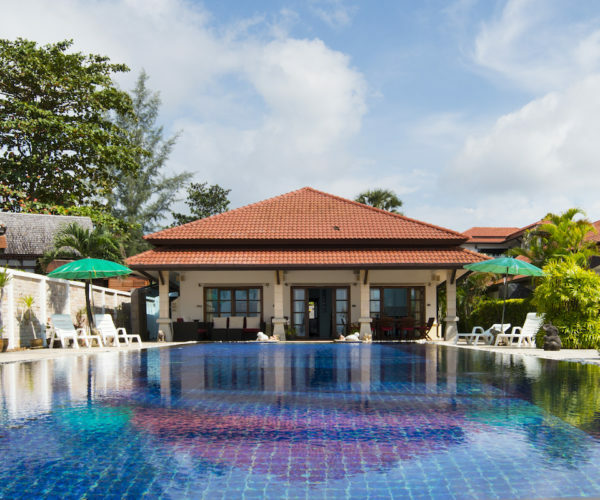 Eight persons in five bedrooms, pool area and jacuzzi and an extra well equipped kitchen! Exclusive and well equipped 1½-storey villa for eight persons in three bedrooms. Pool area with sala for chill out. Pool villa for six persons in three bedrooms with pool access from the master bedroom. 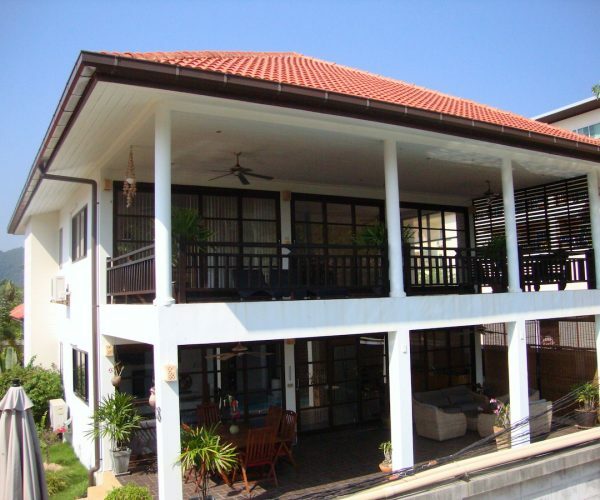 A spacious two-story pool villa for 10 persons in five bedrooms. Two extra-large terraces facing the sunset. 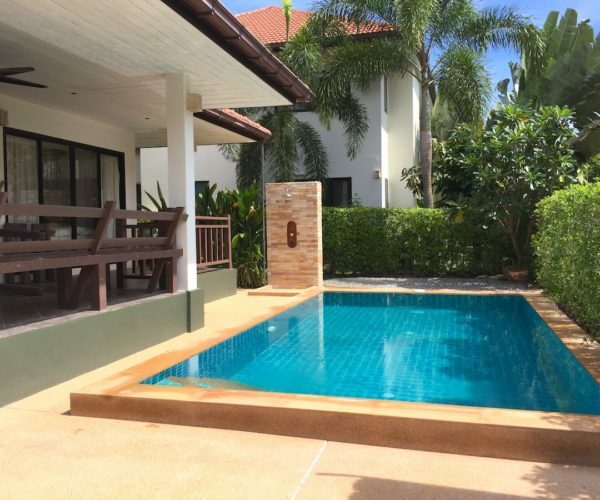 Pool villa for five persons in two bedrooms.